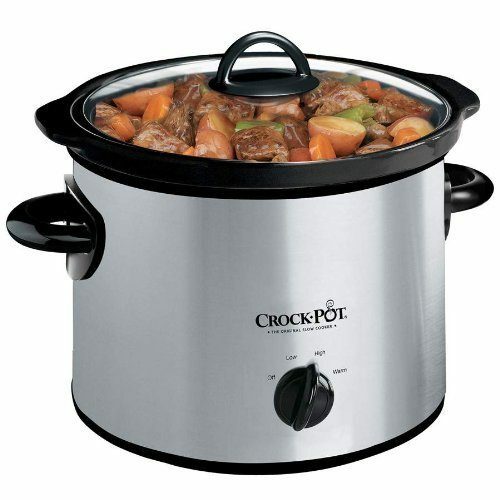 Crock-Pot 3-Quart Slow Cooker Only $18.99! Head over to Amazon and order the Crock-Pot 3-Quart Slow Cooker for Only $18.99! (Save 24%) Prime members get FREE shippings as do orders of $35+! Crock-Pot Slow Cookers make mealtime and entertaining more flavorful. Turn the dial to “High” and get a hot meal, snack, appetizer or dip in no time. Set it on “Low” and tonight’s dinner can cook while you’re at work. The removable round stoneware slides right out of the base for easy transport to the table or storage in the fridge and easy clean up!